B C Khanduri's son Manish will have to slug it out as Cong candidate in Garhwal as senior leaders have now moved to BJP. Dehradun: All five Lok Sabha constituencies of Uttarakhand go to polls during the first phase on April 11. Tehri Garhwal will see the BJP’s Mala Raj Laxmi Shah fight for a hattrick. She is pitted against Pritam Singh of the Congress and Rajendra Purohit of the CPI(M). Singh, the state Congress state unit president, is also a five-time legislator from Chakrata Assembly constituency. While speculations were rife that Shah could be replaced by BJP leader Vijay Bahuguna, it didn’t happen. The reasons for propping Shah again could be many. For starters, Shah belongs to the royal family of Nepal and married into the Tehri royal family that wields influence over the locals. She is also the first woman to be elected to the Lok Sabha from the state since its formation in 2000. Denying her the ticket could have sent a wrong message. But media reports quote party insiders as saying that there was a strong indication that if she wasn’t given a ticket by the saffron party, she would join the Congress. All 5 Lok Sabha seats in Uttarakhand go to polls during the first phase. Garhwal: Garhwal will see an interesting electoral battle between Cong’s Manish Khanduri, son of former chief minister and senior BJP leader B C Khanduri, and BJP’s national secretary Tirath Singh Rawat, who is considered to be close to Khanduri Sr who is the sitting MP. Manish joined the Congress only recently and the BJP has reportedly rewarded Tirath with a ticket as he continued to slug it out despite being denied one during the 2017 Assembly elections. This is a stronghold of the BJP so Manish will have to sweat it out to tap into his father’s support base. 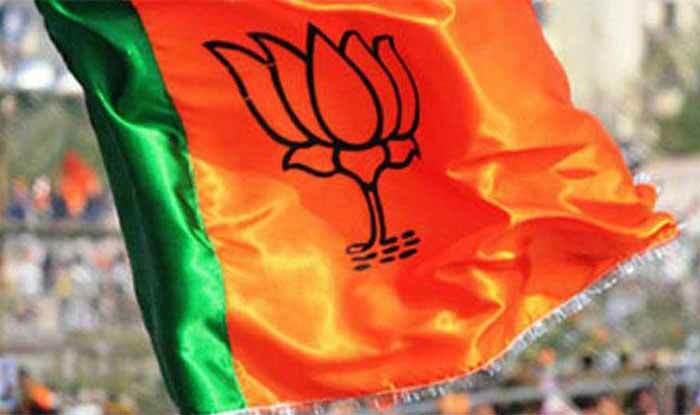 Prominent leaders like Harak Singh Rawat and Satpal Maharaj are now with the BJP. From 1991, with the exception of 1996 and 2006 when it was won by Satpal Maharaj for the Congress, B C Khanduri has won all the general elections here. The former Army General was also the Uttarakhand CM twice. 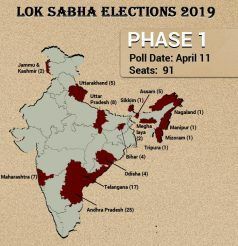 This seat is unique in that it’s perhaps one of the Lok Sabha seats with the largest geographical spread. Reports say migration is the main issue here besides unemployment. Tourism and farmer issues are other issues of focus. Almora: This reserved constituency will see BJP’s Ajay Tamta, also the sitting MP, slug it out with Pradeep Tamta of the Congress. This electoral battle is interesting for being a direct fight between the two leaders for the third time in a row though they’re not related. They have been pitted against each other since 2009 when Pradeep won. In 2014, Ajay won, riding the Modi wave. This year, Pradeep claims the Modi wave has subsided and he would be back. Nainital-Udhamsingh Nagar: This seat will see a clash of the Titans. Congress’ Harish Rawat will slug it out with BJP state unit chief Ajay Bhatt. Bhatt was chosen by his party after the sitting MP, also a former CM, Bhagat Singh Koshiyari refused to fight again. Till date, the Congress has won this seat 12 times, BJP three times and Janata Party, Janata Dal, once each. Hardwar: The BJP has given the ticket to its sitting MP Ramesh Pokhriyal Nishank. In 2014, Nishank had defeated his nearest rival, Congress’ Renuka Rawat who is the wife of former chief minister Harish Rawat. Nishank is considered an outsider as he hails from Pauri Garhwal but he managed to secure this seat, riding on the Modi wave. Besides, Nishank himself is a popular leader. However, this time around, anti-incumbency could work against him and reports suggest that many of his rivals demanded the Hardwar ticket instead. There have been murmurs from within the BJP against Nishank’s candidature. This time, Nishank is pitted against the Congress’ Ambrish Kumar.